J. Matthew Stephens has practiced law for over 17 years. He is the Litigation Partner of Russell, Oliver & Stephens, PLC. He has spent the last 14 years handling health plan reimbursement matters on behalf of employers, plan fiduciaries, and third-party administrators. During this time, Mr. Stephens has litigated many ERISA reimbursement lawsuits throughout the United States, and he has obtained favorable results for the health plan in each lawsuit. 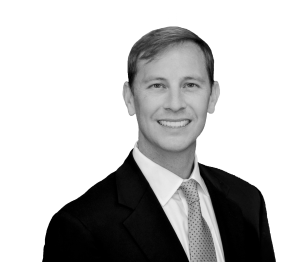 Before joining Russell, Oliver & Stephens, Mr. Stephens served as a law clerk to the Honorable W. Frank Crawford of the Tennessee Court of Appeals, and he worked with one of the country’s largest labor and employment law firms. He is a frequent speaker on ERISA, FEHBA, Medicare, and other health plan subrogation and reimbursement topics, and he is a published author. In fact, his article “Becoming the Best Healthcare Gunslinger in the Ninth Circuit,” was published in the Winter 2006 Edition of Subrogator by the National Association of Subrogation Professionals. Additionally, he co-authored “Healthcare Subrogation Trilogy: Sorting Out the Three Cases Decided by the Supreme Court in 2006 in Order to Maximize Subrogation Recoveries in 2007 and Beyond,” published in the Blue Cross Blue Shield Association, Legal Affairs Bulletin, No. 974 (March 2007). "Back to the Basics—Forming a Solid Subrogation Foundation"
"Workers' Compensation Procedures v. Subrogation Procedures"
"How to Avoid the Head-On Collision—Steering Clear of Adverse Subrogation Laws for ERISA, FEHBA, and Medicare Advantage Plans"
"How to Win in Michigan"
"MONTANILE: A New Beginning or Just the Same Old Rule?" "ERISA Subrogation A-Z: Protecting the Plan’s Lien When Not Intervening"
"Negotiation Techniques for the Health Plan Subrogation Professional: Knowledge is Power"
"The American Recovery and Reinvestment Act of 2009, and COBRA Compliance"
"Becoming the Best Health Care Gunslinger in the Ninth Circuit Subrogator"
Moss v. Unum Life Ins. Co. of Am., No. 11-6017, 2012 U.S. App. LEXIS 17630 (6th Cir. Aug. 17, 2012). Isabel v. City of Memphis, 404 F. 3d 404 (6th Cir. 2005). LeSuer v. HCA Inc., No. 09-35458, 2010 U.S. App. LEXIS 17428 (9th Cir. Aug. 18, 2010). Kargarian v. AutoZoners, LLC, No. 3:12-CV-144-MOC-DSC, 2012 U.S. Dist. LEXIS 143705 (W.D.N.C. Sept. 13, 2012). Johnson v. AutoZone, Inc., 768 F. Supp. 2d 1124 (N.D. Ala. 2011). Politron v. Worldwide Domestic Servs., LLC, 17 Wage & Hour Cas. 2d (BNA) 1175 (M.D. Tenn. 2011). Moss v. Unum Life Ins. Co. of Am., 50 Employee Benefits Cas. (BNA) 1984 (W.D. Ky. 2011).